Gorgeous 2016 home packed with upgrades!!! lush backyard & pool views from main rooms! 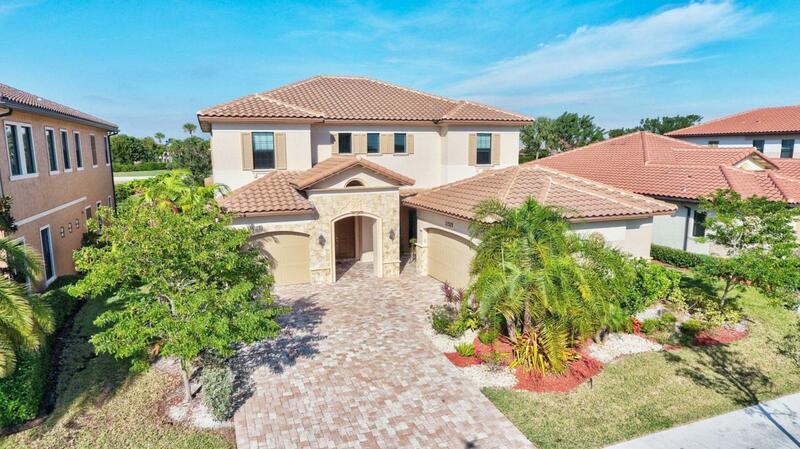 Mediterranean Sycomore model with $180,000 upgrades! Located in a cul de sac at Hawthorne section of Heron Bay, 5 bedrooms, (including 1 downstair suite) and 4,5 baths + a den +an office area. Sensational gourmet kitchen equipped with Kitchen Aid stainless steel appliances , gas stove, double wall ovens, granite countertop and island with built-in dining table, a butler's pantry a powder room, cabana bath and an oversized laundry room! Nice pool with a large paved covered patio. Charming Court yard at entrance. Cathedral ceiling in formal living room.designer ceramic tiles on ground floor and mahogany floors upstairs, crown moldings.Double master bath with jacuzzi, large driveway, for 4 cars, 3 car garage, impact windows, energy efficient house. Amenities include 2 clubhouses, fitness center, pool/spa, tennis, banquet room etc. Excellent schools. Electric wires are underground in this community in case of hurricanes you wont have to travel away. Closing date is flexible.